These lesions known as “AK’s” or the condition of actinic dermatitis is due to cumulative sun exposure and can become cancerous if left untreated. The lesions can take many shapes. 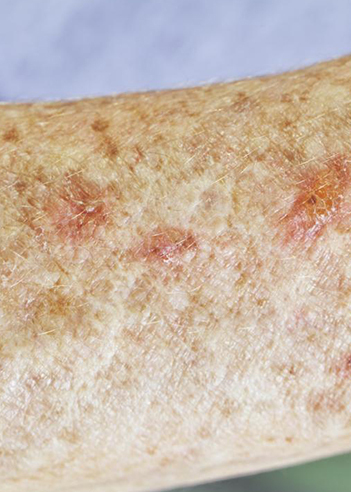 Some appear as patches of rough or scaly skin. They can be skin-colored, reddish-brown, or yellowish-black. Anyone who thinks he or she might have one of these lesions should be evaluated at a dermatologist office. In addition, they should protect themselves from the damaging effects of excessive sun exposure.